Hope you're having a lovely weekend! I've been busy with family stuff, some crafty time with friends, and a bit of time spent tidying the craft room - starting to see the floor again! I have had some time to play today though and made this little card with Birdie Banners from Concord & 9th. When I first saw this set I knew it was a must have. 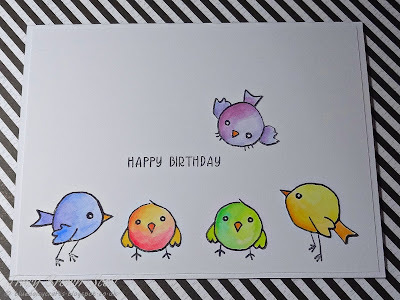 The little birds are so cute and the sentiments cover so many different options! I used my Faber Castell Albrecht Durer watercolour pencils - first time playing with them and I'm really impressed. I love those darling little birdies, Tracy! Fantastically simple design which lets them take center stage. I'm so tickled that you chose to play in our first ever 'critter' challenge at 2CCC. Thank you, thank you, thank you and good luck! Love your sweet birdies! Very nice card! Thanks for sharing with us at DL.ART Challenges! Oh this is just a cutie pie. Lovely. Nice work. looks great. Thank you for sharing with us over here at Classic Design Team Open Challenge and best of luck with your entry. Back again, and again just gorgeous. Thank you for sharing with us over here at "A Perfect Time To Craft" and best of luck with your entry. 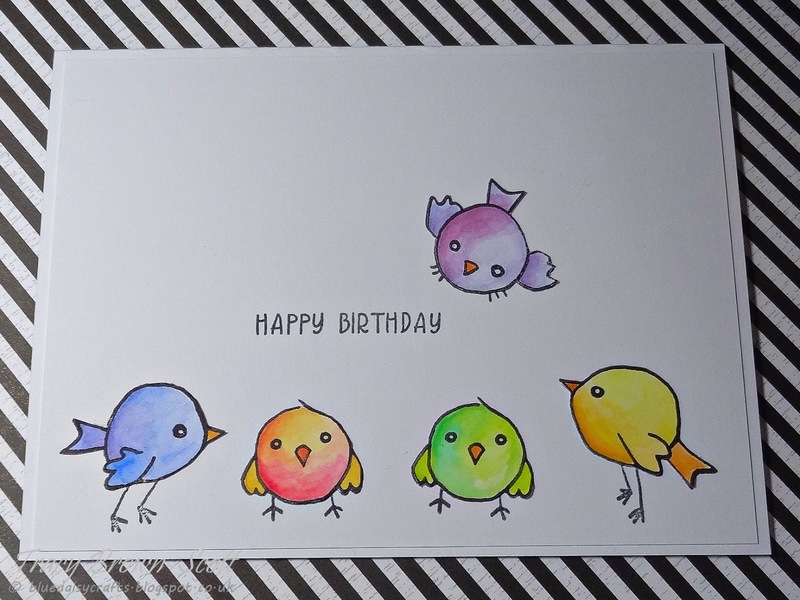 Oh my gosh I just love these colorful birds. Perfect card for a spring birthday. Thank you for joining the DL.ART April Linky Challenge. Oh how sweet, loving those little birdies. Love those little birds! Perfect card.